Žaluzie na zadní okno komplet. 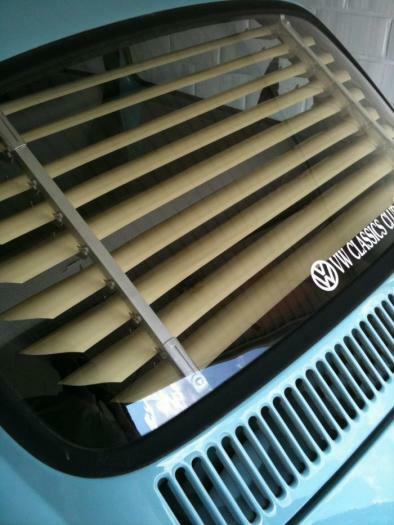 In the time that Luxa flex with a new form of curtains came up was soon step into the car to put the heat to keep out. A soiree accessories from bygone times but for our classics the ultimate accessory not be missed. The model for the oval beetles are one piece while the jealousy of all other model years of loose slats exists that you still need to put together and also skew control his bier. Is simply clamped between the windscreen rubber.